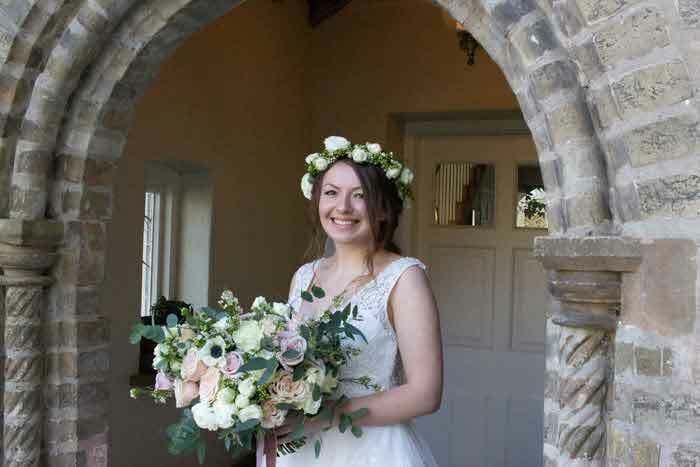 BrideMagazine.co.uk is provided by Archant Community Media Limited whose registered office address is Prospect House, Rouen Road, Norwich, Norfolk NR1 1RE and whose company number is 19300 and VAT number is 711518562. For the purpose of these Terms & Conditions Website means www.bridemagazine.co.uk and any associated apps. Access to particular areas of the Website may be subject to additional terms to which You confirm Your acceptance of by entering the particular areas. If You do not accept those terms then You should immediately stop using those pages. PLEASE NOTE THAT THE TERM THAT WE PROVIDE THE SERVICES TO YOU DEPENDS UPON THE DATE OF THE WEDDING THAT YOU PROVIDED DURING REGISTRATION, IF THIS DATE CHANGES PLEASE CONTACT US TO DISCUSS YOUR OPTIONS AT: www.bridemagazine.co.uk/contact or email support@bridemagazine.co.uk. Our Customer Service representative operating hours are 9.30am to 5.30pm Monday to Friday. We will try to respond your query within 24 hours of receipt (please note that this excludes Saturdays, Sundays and Bank Holidays). 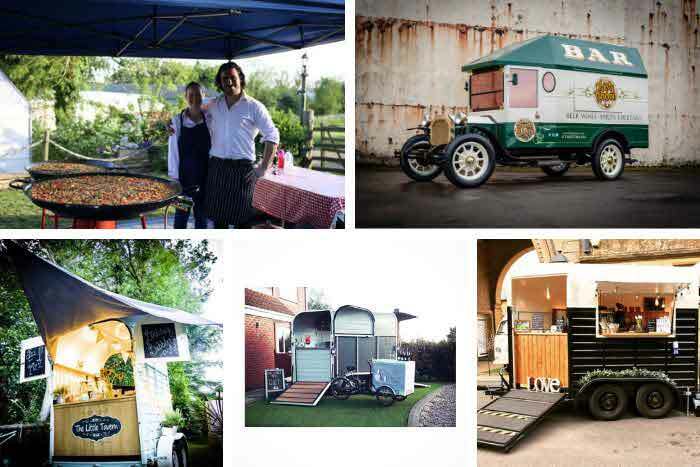 For all customer enquiries please fill out the form below: www.bridemagazine.co.uk/contact. If you wish to contact us by mail, please write to Bride, Archant, Cumberland House, 3 Oriel Road, Cheltenham, GL50 1BB. You are over 18 years of age. If you are aged between 16 and 18 and wish to use our services please contact us at support@bridemagazine.co.uk. You have the permission to send Us the material. You must not impersonate any other user of the website. When submitting a review of a supplier in the Bride Supplier Finder, your email address will be available to the supplier to allow them to verify that you have used their service or products. That You understand and agree that any breach of these warranties may cause Us damage and loss and You agree to indemnify Us and keep Us at all times fully indemnified from and against all claims, costs, loss or damage incurred by Us directly or indirectly as a result of any material posted by You on the website or any use by You of the website. By Accessing or Posting any information or photographs that You confirm You have read and agreed to the above terms and conditions. In order to set up an account your must provide us with the accurate date for your wedding, we understand that due to circumstances outside of your control that this date may change, please contact us at support@bridemagazine.co.uk, if you need to change the date of wedding. Registration is at Your own risk and We will not be liable for any unauthorised transactions made using Your user name or password. As a Premium Member when you publish your website you have the option to password protect the website to restrict access. It is your responsibility to protect your website. You may provide your website password to other people (Guests) who will have the ability to upload photographs and comment on your website. You can amend this Password at any time. If you are a basic member, whilst the information your account information and the content provided under tools is password protected, the information that you publish on your website is not password protected and you acknowledge and accept that other people may be able to see the content provided by you, even though they will not be able to upload to your website. If You choose to register via a Social Network on our registration page (“Social Network Registration”), You acknowledge and consent for Your data held by the Social Network site (subject to the Social Networks Terms and Conditions) to be processed and shared via a third party whom may be based outside of the European Economic Area and for such data to be processed by Us. The only data obtained during the Social Network Registration is Your name and email address. By becoming a premium member you can choose to have a designer theme for your website. Copyright in the theme remains with the designer of the theme, and you are not permitted to use or copy the theme for any other purpose than for your website with Bride. As a Premium Member, You may elect to use designer stationery. This service is provided by a third party and additional costs may apply. Please see Third Party Sites below. We acknowledge that you retain copyright in the information and photographs that you provide/upload to BrideMagazine.co.uk. You automatically grant Archant the royalty-free, non-transferable licence to use any information you provide for the sole purpose of providing you with the services. We may contact you from time to time to request that we can use your copyrighted information for other purposes, but will not do so without your permission. You are entitled to cancel the services that we provide for you for seven working days after entering into the contract with us (which will be deemed to start when you receive your confirmation payment email from WorldPay). To cancel your contract please contact us at support@bridemagazine.co.uk and we will refund of all monies paid by you to the card which you paid with, within 30 days of receiving your email. Basic One week after the wedding date you provided when you subscribed. Ruby One calendar month after the wedding date you provided when you subscribed. Gold Six calendar months after the wedding date you provided when you subscribed. Diamond 1 year after the wedding date you provided when you subscribed. You may upgrade your account at any time throughout the package term by purchasing an upgrade in your account panel or emailing support@bridemagazine.co.uk; or contacting us through the contact page www.bridemagazine.co.uk/contact. The cost to upgrade your account will be the full amount of the upgraded account less any payments you have already made for a Premium Subscription. Unfortunately you are not able to downgrade your account at any time. Renewals must be made within 7 days of your package expiry date as you will risk losing all of your personal website content. We will send you a reminder email to the email address that you have provided 7 days before your account is due to expire. It is up to You to ensure that you copied/printed any content that has been uploaded to Your site, as this will not be available to you after your subscription has finished. BrideMagazine.co.uk will not be liable for any loss of content howsoever caused. Please ensure that you have the correct copyright permissions to upload any photographs onto your site. All Premium customers will be able to collect wedding donations/ contributions from your guests as wedding gifts through your personal Bride website. This is collected through your personal PayPal account which you can then choose to spend as you wish. Please note that PayPal charge a transaction fee to transfer this into your personal bank account but do not charge if you spend the funds with online retailers accepting PayPal, specific fees charged by PayPal can be found at the link below. By using this service you will be bound by Paypal’s separate terms and conditions and privacy statement which can be found at: http://bit.ly/UFPRT9. If you elect to, you can set up a link for your guests to donate money to your chosen charity. We operate this service via www.justgiving.com/en/how-justgiving-works/our-fees, where their terms and conditions will apply. From time to time we may offer Advertiser sponsored Competitions. Entry into these Competitions is not automatic and you will need to pro-actively enter the Competition. Only one entry per registered user will be allowed. The winner will be selected at random from the correct entries and notified by email within 7 days of the Competition. We reserve the right to report details of competition winners, to take photographs (or other visual media) and to publish such media on BrideMagazine.co.uk and on other social media platforms. The prize must be taken as offered with no alternative. In the event that the prize cannot be supplied no liability will attach to Archant. Entry into any competition does not give rise to any binding agreement between the parties. When prizes are supplied by third parties We are acting as their agents and as such We exclude all liability for loss or damage You may suffer as a result of any Competition. The editor of BrideMagazine.co.uk decision is final and no correspondence will be entered into. Employees of Archant and the prize provider and their immediate families and agents may not enter. We may request proof of age and date of wedding from any competition winner. 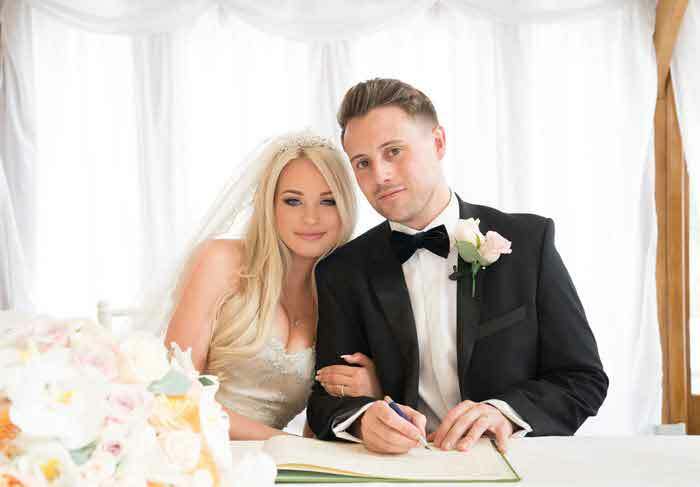 Newbury Racecourse is delighted to offer readers of Marry in South East magazine the chance to win a wedding worth £10,000. The entry deadline is midnight, Thursday 31st January 2019. The prize is subject to availability and strictly only available for a single wedding date for a party of up to 80 guests in total. The winner will be drawn at random from the full list of competition entrants and notified via email. The prize is non-transferable, and no cash alternative is available. The prize will automatically be void if sold, offered for sale or if any attempt or offer is made to transfer the prize for value. The prize winner must reply to Newbury Racecourse via email or phone to arrange the wedding, which must be booked by 31 December 2019. After this time the prize will be invalid. The prize remains the property of Newbury Racecourse and Newbury Racecourse reserves the right to take possession of the prize at any time and for any reason. The Racecourse reserves the right, in its absolute discretion, to refuse entry and to close and/or alter all or any part of its facilities. The winner may be requested to take part in promotional activities. Archant and Newbury Racecourse reserve the right to use the names and images of winners in any publicity both in print and online. BrideMagazine.co.uk Free Prize Draws will be held from time to time. Winners will be selected at random and notified by email within 7 days of the Prize Draw. We reserve the right to report details of Prize Draw winners, to take photographs (or other visual media) and to publish such media on BrideMagazine.co.uk and on other social media platforms. The prize must be taken as offered with no alternative. In the event that the prize cannot be supplied no liability will attach to Archant. Entry into the Prize Draw does not give rise to any binding agreement between the parties. When prizes are supplied by third parties We are acting as their agents and as such We exclude all liability for loss or damage You may suffer as a result of any Prize Draw. The editor of BrideMagazine.co.uk decision is final and no correspondence will be entered into. Employees of Archant and the prize provider and their immediate families and agents may not enter. We may request proof of age / date of wedding from any Prize Draw winner. If you do not wish to enter have entry into the Free Prize Draws please contact us at support@weddingsite.co.uk. BrideMagazine.co.uk does not moderate any content that is placed on your website. If we receive a complaint with regards to any content that has been posted/uploaded to your site we will email you at the address registered to the account and request that you remove the content in question within 7 days. If you do not remove the content within 7 days we reserve the right to suspend your account until such time as the content is removed. 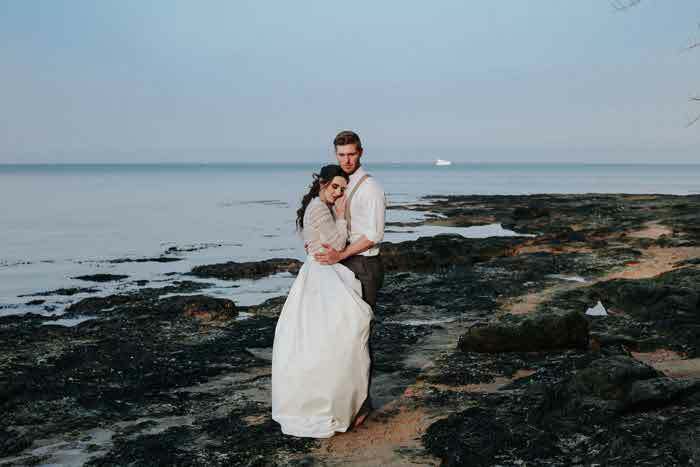 By signing up for the Supplier Finder Service BrideMagazine.co.uk will automatically create an account for you which will allow you use the other services that BrideMagazine.co.uk offer from time to time. If you do not wish for an account to be set up please contact BrideMagazine.co.uk at: support@bridemagazine.co.uk. 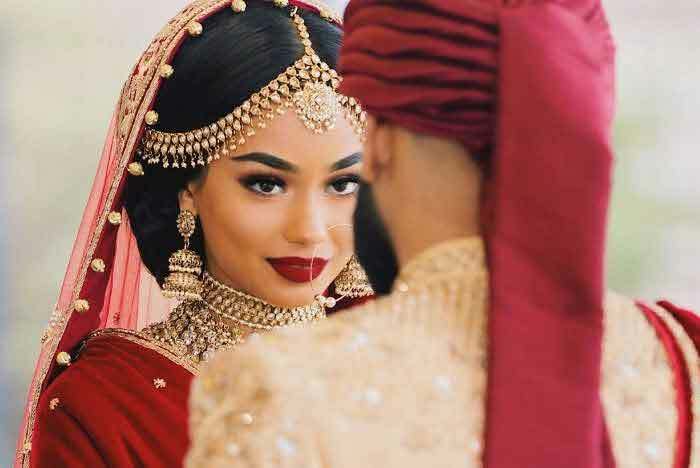 In using this service, you acknowledge that BrideMagazine.co.uk is not acting as a contractor or agent and is not responsible for any goods or services you may choose to receive. It is your responsibility to select any suitable supplier and to negotiate the terms for any goods or services, BrideMagazine.co.uk will not be involved or held liable for any agreement between you and the supplier. BrideMagazine.co.uk makes no warranty against any services purchased through the Supplier Finder service. We recommend that before entering into any agreement with a supplier that you contain confirmation of insurance cover, guarantees or any documentation that is relevant. If you suffer any problems or losses as a result of acting on the information provided outside of BrideMagazine.co.uk we will not be liable. You understand that we do not control, and are not responsible for content made available through the service. Furthermore, the site and content through the service may contain links to other websites, which are completely independent of BrideMagazine.co.uk. 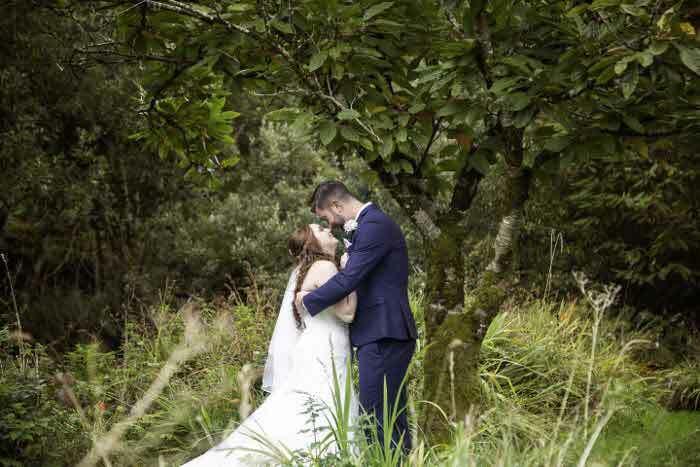 BrideMagazine.co.uk make no representation or warranty as to the accuracy, completeness or authenticity of the information provided in any such website. We do not guarantee that you will receive any quotes from using the service, we will try to find a supplier that meets your requirements but we do not guarantee that a provider matching the exact details will be found. The Website does not endorse, vet or recommend any specific supplier and relies on the correct information being provided by both you and supplier to identify which suppliers are provided to quote. 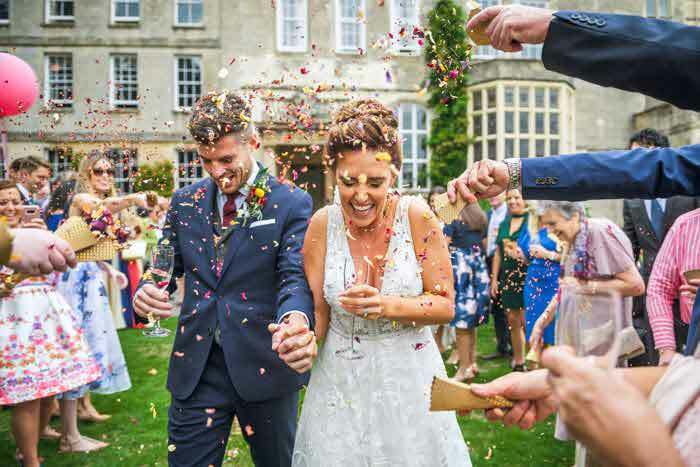 BrideMagazine.co.uk accepts no liability in relation to any agreement entered into between you and the supplier, including but not limited to the cost, quality, loss or damage of any sort incurred as a result of any agreement, or timeliness of the services provided by the supplier or their subcontractors. In the event that you have a dispute with a supplier you understand and agree that BrideMagazine.co.uk is under no obligation to become involved. In the event that you do have dispute with a supplier, you hereby release BrideMagazine.co.uk, its officers, employees, agents and successors in rights, from claims, demands and damages (actual and consequential) of every kind or nature, known or unknown, suspected or unsuspected, disclosed and undisclosed, arising out of or any way related to such dispute and/or our service. You agree that BrideMagazine.co.uk, in its sole discretion, has the right (but not the obligation) to deactivate your account, block your email address, or otherwise terminate or restrict your access to or use of BrideMagazine.co.uk and its services, immediately and without notice, for any reason, including, without limitation, if BrideMagazine.co.uk believes that you have acted inconsistently with the letter or spirit of these terms. You agree that BrideMagazine.co.uk has no responsibility or liability for the deletion or failure to store any content maintained or transmitted by BrideMagazine.co.uk You also acknowledge that BrideMagazine.co.uk reserves the right at any time to modify or discontinue the website or services (or any part thereof) without notice, and that BrideMagazine.co.uk shall not be liable to you or to any third party for any modification, suspension or discontinuance of any services. The Website and/or the services contain content owned by Archant. Other than the Content you provide for the Service, the Content is protected by copyright, trademark, patent, trade secret and other laws. Archant owns and retains all rights the Website and the Services. Archant hereby grants You a limited, revocable, non-sublicensable licence to reproduce and display the Content (excluding any software code) solely for Your personal, non-commercial use in connection with viewing the Website and using the Services. The trade marks, names, logos and service marks (collectively 'trademarks') displayed on this website are registered and unregistered trademarks of the BrideMagazine.co.uk. Nothing contained on this website should be construed as granting any licence or right to use any trade mark without the prior written permission from us. The Website and the Services contain content owned by Users and other licensors (“Third Party Content”). Except for Content posted by You, You may not, unless specifically authorised by Archant in writing, copy, modify, translate, publish, reproduce, commercially exploit, broadcast, transmit, distribute, perform, display, or sell any content appearing on or through the Website or the Services. You may retrieve and display content from the Website or the Services on a computer screen, print individual pages on paper, photocopy and store such pages in electronic form on disc (but not on any server or other storage device connected to a network) for Your personal non-commercial use. Your use of this Website, these terms and conditions and any matters arising are subject to the laws of England and Wales. Any dispute is subject to the exclusive jurisdiction of the Courts of England and Wales. This Website is targeted only at UK residents. If you access BrideMagazine.co.uk outside of this Jurisdiction, it is up to You to ensure that Your use does not infringe any relevant legislation of the country you access BrideMagazine.co.uk.